The dispersal sales team have continued to be as busy as ever. 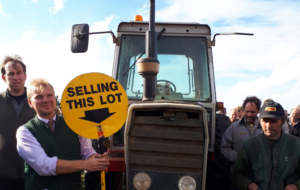 2018 will be remembered for a wide variety of sales, which have included bed & breakfast furniture, felled oak trees, Unimogs, equipment and machinery along with the usual grasskeep, straw in the swath, produce auctions and over 650 sheep at our last sale in October! The team held 17 sales in 2018 and sold well over 12,000 lots. 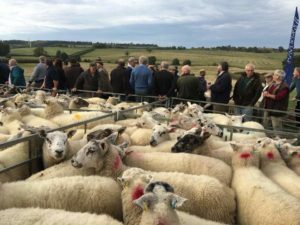 With our new mailing list and social media channels, we have seen an increased number of buyers in attendance with over 1,000 people coming to Mr Eric Hewes’ retirement sale in September. 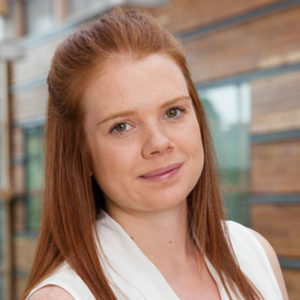 If you’re thinking of selling at auction or are interested in attending one of our sales, get in touch with our auction lead Jenny Hannah by clicking here for all the details.